NEW YORK -- A Ferarri once owned by President Trump was sold at auction this weekend at a record $270,000. He didn't drive the Ferrari much. Trump sold the supercar in 2011 with fewer than 2,400 miles on it. The cherry red Ferrari rolled onto the auction block around 5:30 pm ET as "Hail to the Chief" boomed from the speakers. At first, it looked like the car wouldn't sell. It left the auction block with a top bid of $245,000 -- which didn't meet the reserve price, or the minimum bid required for a sale. 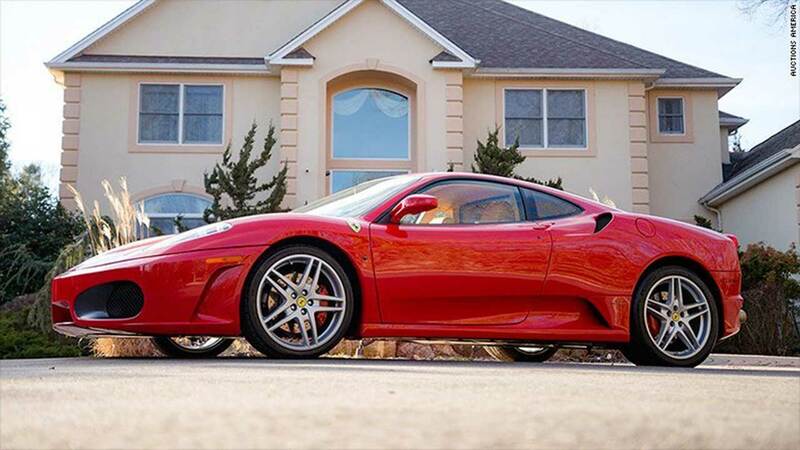 The Ferrari, according to Auctions America, sold "just minutes after it left the podium." "Similar versions of the model without the celebrity provenance traditionally bring between $125,000 and $175,000 depending on mileage, condition and optional equipment," Auctions America said in a statement. The Ferrari's new owner will get the car with just over 6,000 miles on it, and the purchase comes with a copy of the original title boasting Trump's recognizable "bold signature," Auctions America said.